Part cultured wine bar and part neighborhood restaurant, Sip is the kind of place designed to feel as though it’s been here for years. Come to Sip to relax and unwind, to enjoy an unforgettable meal, to savor the perfect glass of wine, and to feel at home. Sip’s warm atmosphere evokes the feeling of a Napa Valley tasting room with a unique 30 seat bar, an outdoor trellis covered patio with a stone fireplace, and cozy and stylish indoor seating. The diverse menu features an array of tantalizing appetizers, savory entrees, and unforgettable desserts, as well as an elaborate selection of hundreds of extraordinary wines by the bottle and over 50 by the glass. Sip is the perfect location to celebrate a special occasion, host a luncheon, or hold a business function. Our managers are there every step of the way to guarantee the success of your event & to create a memorable & successful experience for you. Our Rainier Room accommodates up to 40 guests & is the perfect place for a business or social gathering, featuring old world sheer curtains to provide privacy & a drop down screen for audio visual needs. The Owner's Booth is set aside from the hustle of the main dining room. Enjoy a private & comfortable dining arrangement that seats 8-10 guests, with a drop down television screen. Our patio offers a cozy outdoor dining space & accommodates 25 people. A large stone fireplace & overhead heat lamps take away the evening chill. Full Restaurant Buy-Outs available for your large party needs. Inviting. Relaxing. Alluring. Visit our website at www.siprestaurant.com. Nearby complimentary street parking and a parking lot are available. $5 House Spirits, $7 featured martinis & wines by the glass, & $3 off ALL small plates. I was disappointed in Sip, as I used to love it, don’t know what’s changed here. The prices are quite high for the overall experience (and there is a 3% surcharge on top of everything). My husband’s steak was rare when he asked for medium, and while the server took it back to be cooked longer, there was no apology at all. Such a different experience from the first couple of times I dined here. Maybe a change in management? Delicious food and wine parings. Service was pretty awful & they didn't have their timing down at all--brought our appetizer before our wine parings then tried to get us our salads 3 times before we'd even started our appetizer. Salads were soggy because of them bringing them out 3 separate times. Trying to get the attn of anyone was impossible. The staff seemed to be very good at looking past or thru the customer. Slow service. Food not so great. But a very nice Manhattan saved the night. Services was good. Steak tasted like it had been tenderized. It was supposed to be a filet . It was tough. On Monday night large group served. Very slow delivery on salad and entire meal. All help was focused on group. No one let us know there would be a delay so we had choice to stay or leave. Management did not apologize for delay. Salad was taken off bill. Took 80 minutes for meal. We've eaten here several times. It was a disappointing evening. Great wine list. warm welcome by hostess. Server forgot our side dish, and never filled our wine glasses at all, we poured our own wine thru out the meal. Considering that the evening was super slow, less than ten tables, this was poor service. I just was not impressed at all. Enjoyed our dinner experience. I husband had a craft cocktail and I had a wine flight which was quite good. I had the tenderloin And husband had a burger. I was shocked how good the tenderloin was. Not being a steakhouse, I had average expectations. The service was good and we would definitely go back. Mediocre place overall. Service and ambiance good so keep it up! That is one positive. On the other hand...My steak was awful, TOO salty and chewy. Husband's ahi tuna was not fresh. Also, more and more people are vegan nowadays. Wouldn't hurt to add a few menu items so you get more customers who don't leave hungry. Not sure if we will ever return....maybe for drinks/happy hour but that is about it... lots of restaurants next door offer better food. The service was very poor and the food was not impressive either. I took my mom for Mothers Day, thinking we could have a nice lunch- mind you, nothing was advertised online or on Open Table about the Mothers day brunch buffet they were having so I originally had the main menu on my mind going into this- so we sat and took a look at the food- cold, poor, overcooked..i was not impressed. We then meet our waitress, who what out of this world! Literally! Something was honestly wrong with her. She acted like she was on some kind of medication..drugs maybe? She was weird and awkward the whole time and soooooo slow!!! We waited about 15 min before we even got our Mimosas and water. Then about another 10 min later, she gives us an order form to order an Omlette- come to find out later the omlettes we ate were $40+ each! Seriously?? It was an absolute joke- and again, this wasn't advertised anywhere and the waitress didn't even bother filling us in on ANYTHING that was going on or what they had to offer. In my opinion, the waitress we had should be fired. She was very unprofessional, awkward and I unfortunately did not tip her well (I usually tip very well- I used to be a waitress)everything was poor quality and its not how I planned Mother's Day would go with my mom. Don't think I will be back here for quite a while. We did not feel welcome in any way. Our gorgeous waitress was very knowledgeable on the foods and wine and was attentive to all our needs. Great steak & wine, tomato soup was delicious and the dessert superb. A little pricey for the 3 glass wine sampler but everything else was excellent. Easter Brunch was soooo disappointing...not as advertised on the website and skimpy. Staff tried hard. Wonderful experience from start to finish. Our waiter was very knowledgeable, polite and attentive. We went with his recommendations and our dinner was delicious. We will definitely be back. We were celebrating a very special birthday and the Sip did not disappoint with respect to recognizing the occasion with a delightful dessert. Our server - Marietta - made the occasion special, with her nice, quiet manner, knowledge of the cuisine and friendly manner. She remained attentive throughout the evening and made us feel extra special. The menu selections were pleasing to our palate and the wine selections exceptional. We will return! The food was excellent but the service was surprisingly poor seeing that the restaurant didn't seem particularly busy. Initially we were directed to the wrong table (a different party), despite having a reservation for 2 that was clearly visible on the screen. Once sat down and presented with our menus we were then ignored (not even a glass of water) for at least 15 minutes until we stopped a waiter and asked for service. Little or no apology was offered. The service was then better and the food and wine were excellent, however one of my wife's glasses of wine smelled and tasted horrible and so needed to be replaced. They did that happily. We love Sip! Fantastic and fresh food, great service and they take excellent care of their regulars. From wine after work to family meals and celebrations, Sip is the best! Soups were excellent, as was the wine selection. Diner was on the very good end of the scale, but not excellent. Welcome to Issaquah Highlands, where they are very proud of their wines...all are priced high. Atmosphere was great for Valentines Day! We had expected live music. They have done that in the past. Food was pretty good, but portions a bit small. Wedding cake dessert was fabulous! Great atmosphere, good wine. Not impressed with food, menu options are limited. Very disappointing. Cocktails were good, food was just ok but very expensive. Awkward / uncomfortable service. Pleasantly surprised! Lived here 2 years and never wanted to go in as I moved from Napa and thought it wouldn't measure up. It was a great dinner and experience. We were placed right next to the wine tasting table. Lots of traffic, noise. Iwe would have been much happier sitting at a table in the bar. I reserved a table for two for my boyfriend's birthday, and this dinner did not disappoint! It was incredibly romantic, and they even sat us next to the fireplace. I could tell our server was very pleased to be waiting on a young couple on a special night out, and she gave us very honest recommendations that made the evening that much more special. The ambience was very cozy and private. I would definitely recommend this place as a treat for someone special. Free wine tasting on Wednesdays! Super friendly manager. Nice variety in menu, delicious food. There is 3% surcharge for which they don’t tell you and it goes to the business owner per waitress. My friend and I visit Sip about once a month as a middle meeting ground for staying in touch with one another. 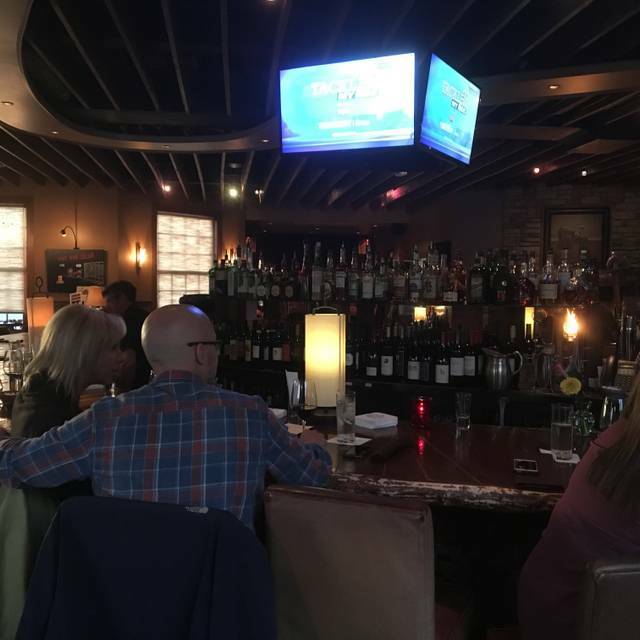 We especially like going on Wednesdays since it's half-price bottled wine night and with Sip's impressive wine selection, it's always an adventure to try a new wine. Service is always attentive but unobtrusive, and the owner/manager usually stops by to chat briefly. With each visit, it feels more and more like the place where 'everybody knows your name' :-). The only downside to this last visit was our dessert, which was a pear-apple cobbler topped with vanilla ice cream. The cobbler itself was really more like a piece of pie and its crust was as hard & tasteless as cardboard. The filling was good, but scarce...thank goodness for the generous & delicious scoop of ice cream that topped it. I emphasize this was an anomalous occurrence in all the time I've patronized this restaurant, so please take the info into account accordingly. Looking forward to our next visit, which will be our holiday get-together. See you there! This is a restaurant that could be super good, but it misses on a few key points. When we got our final bill, we noticed that there was a 3% surcharge added to the total. What?? When asked, the waitress said the owner does that instead of raising the price of meals. I find that sneaky and deceptive and have never seen that at a restaurant before. Probably most people don't even notice it, which is I'm sure what he's hoping for. Really not cool. Just be transparent and put the real prices on your menu, bud. There is an extensive wine list but no one could manage to find the type of wine we were looking for on their digital wine list. The sommelier seemed lost. Very very talkative but not much knowledge of wines offered there or how to find them. She spent way too long at our table being not helpful. The one she finally recommended for a hundred bucks was a disappointment. On the positive side, the place has a nice atmosphere and the food is quite good. We had a great manhattan at the bar before dinner and the bartenders were amicable and skilled at their craft, if it can be called that. The fireplace is nice and we will go back and eat at the bar next time. Dined here more than once for Seattle Restaurant Week and I actually enjoy it. Good Food, Good Service. Nice ambiance for a date. The food was good, the portion size a little on the small side. Loved the ambiance and menu. Always try to make a trip to Sip when in Fall City. Wonderful neighborhood restaurant. Always interesting to see what is featured on their menu. Simply put - Sip provided fine service and a fine meal and my family and I will return to Sip for many more fine meals in the future. King Salmon was terrific. 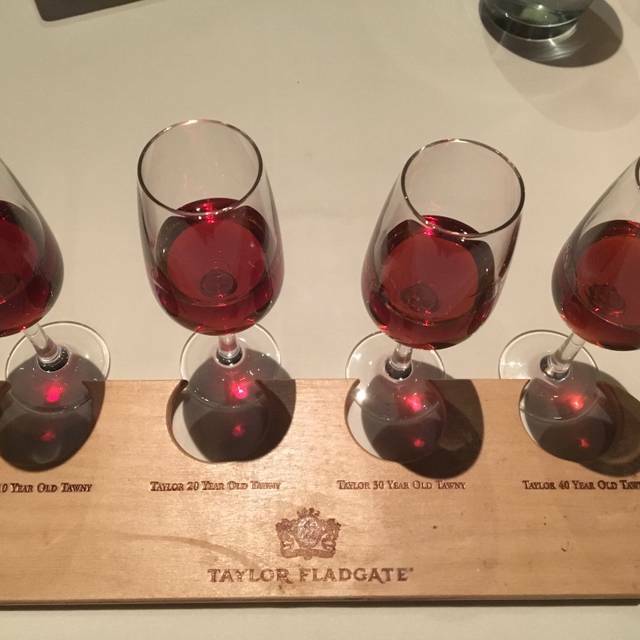 Never saw a Tawny Port Flight before, had to partake. Two thumbs up. This place is in the neighborhood and is normally pretty reliable. For whatever reason our Monday evening visit was a bit discombobulated. The mixed drinks were made wrong and needed to be replaced and the wait staff was harried and quite probably understaffed. The food was pretty good as usual, perhaps just an off night. We've been there many times and usually have a great time, so I'm sure we'll be back. Tuna appetizer was over pull date. SIP was kind enough to comp this portion of the meal.